Home > Social Content > Blogging > How To Better Deal With Spammers On One’s Pages? How To Better Deal With Spammers On One’s Pages? 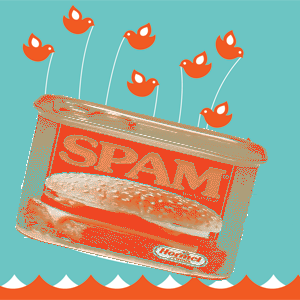 Spam is everywhere, and lately – all over social media too. Popular platforms with that many members are always going to have problems with spammers. If they think they can make a quick buck, they will. It’s been that way since the Internet was created. But there are other things you can do in your endless fight against spam that can make a difference. Just deleting and moving on are not your only options anymore! What do you do when your business page has been attacked by spam? Most people simply delete the posts and hope for the best. Instead, there are a number of steps that you can take to make it difficult for that spammer to come back and repost on your page. First of all, under every Facebook post you have a ‘flag’ option. Flag the spammer, and report them to Facebook. You’ll get the option to then ban the person from your page, and remove all content that they have posted there – forever. If the problem is recurring you can change your permissions setting, and prevent your fans from positing on your wall at all. Not ideal, but your only last resort. Blog spam these days can be difficult to catch, because it often comes disguised as complimentary comments. There are a number of ways however, to limit the average spam message. You could use a ‘Captcha’ form that checks if the person adding the message is human and not an automated spam program. It’s not anywhere close to foolproof, as most spammers are people and manually paste in spam messages that contain a link they want you or your community to click on. Don’t click on that link – ever! Often it could lead to an attack on your PC, or more spam coming your way in a hurry. Make sure that the people who comment are saying something valuable, or that they appear to genuinely like your blog. There is nothing more frustrating than being followed by a Twitter spammer. They often appear normal, and you’d never know on the surface that they are in fact huge spammers. 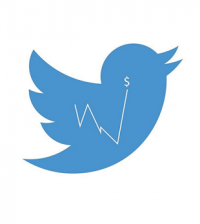 There isn’t much of a spam system in place on Twitter right now, because most businesses use it to sell products or promote their websites and blogs. It can all seem like spam if you look hard enough. Until they come up with a solution, you can always use their report button – this won’t eliminate the spammer from the world, but it will remove them from yours. If the spam is simply too much for you, then you can add “Stop Tweet” an app that tries to identify who the spammers are on your page. It’s not perfect, but it’s a great option to have anyway. You see – there are better ways to deal with spammers. The hard part is identifying who the spammers are, because it’s not always easy. Sometimes it really is someone’s father that works from home, and is trying to make a little extra money. People make mistakes! In the meantime, use some of these tips to help rid the world of the spammers that intentionally ruin your pages. What does spam look like? List the most common spam messages you know about!